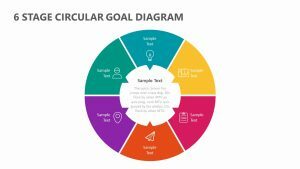 Detail each of the most important parts of your plan for your project or goal with the 10 Stage Circular Process Diagram for PowerPoint. 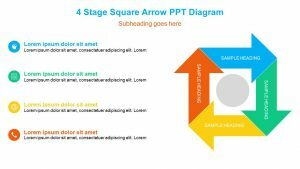 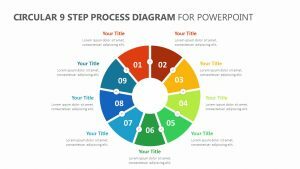 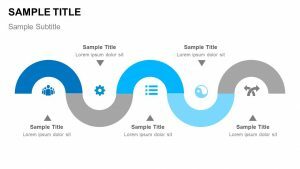 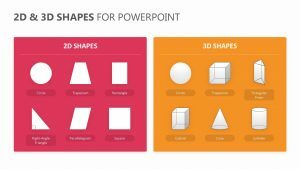 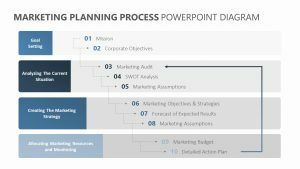 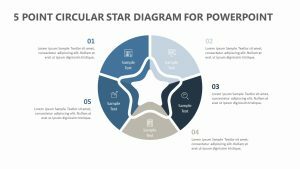 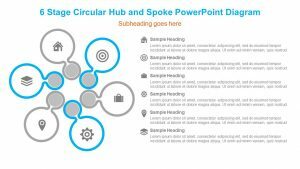 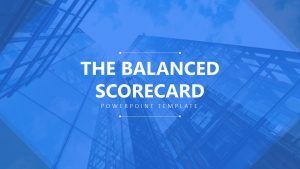 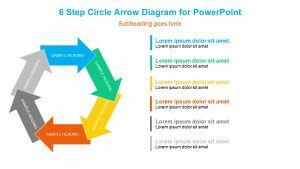 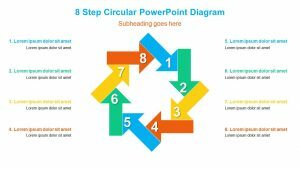 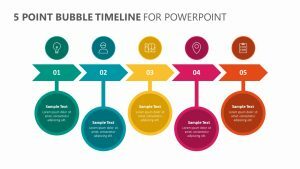 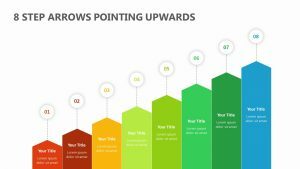 The 10 Stage Circular Process Diagram for PowerPoint is a group of three different PowerPoint slides, each of which are customizable right down to the text, icons and colors. 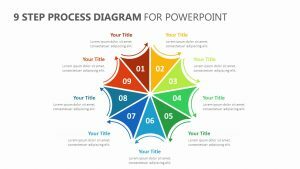 In the center you can type in the goal or project name. 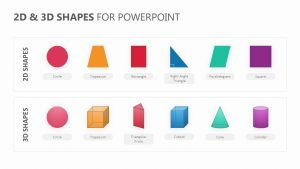 Surrounding it are pentagonal shapes that come with their own icons, and extending out to the side of those is a space for you to input both a subtitle and a bit of text.